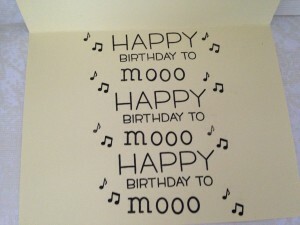 Your daughter is an awesome card maker! 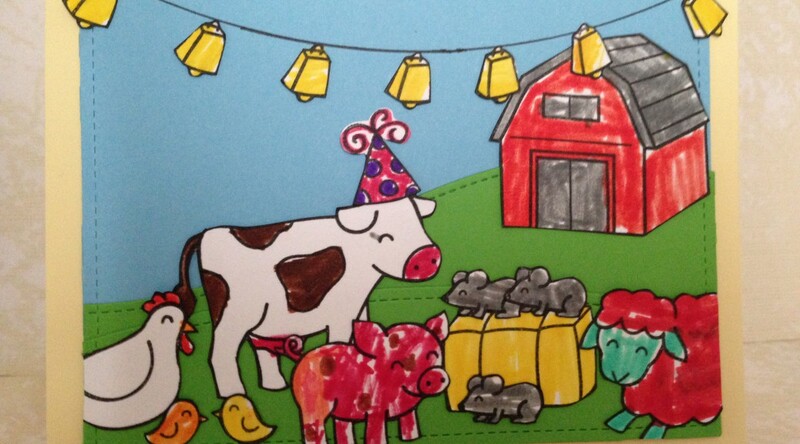 I love her choice of colors and that cowbell garland is so clever! 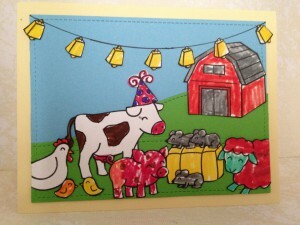 This card is so delightful from the wonderfully designed farm scene to the creative sentiment inside! Thanks so much for sharing with us at Lawn Fawnatics! Thanks! Both of my kids enjoy card making and I even occasionally let them touch my crafty stuff.